The Christmas countdown is underway, and the pressure is well and truly on to find the perfect present for your nearest and dearest. 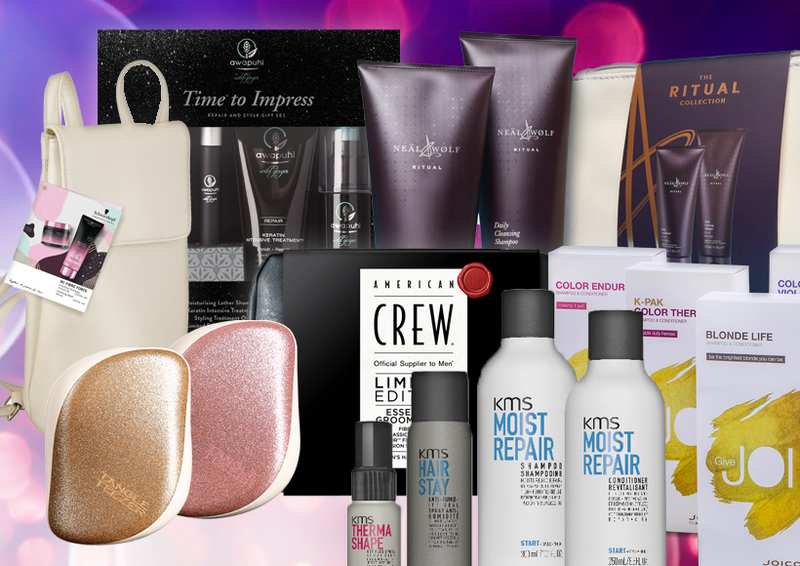 Lucky for you, your local salon is here to take the stress out of shopping, with a fantastic selection of gift sets from some of the best professional haircare brands. Carefully selected to offer the perfect product combinations for a particular hair concern, this season you can pick up either a colour, blonde or total care gift set from milk_shake, which is great for adding a personalised touch to your present pickings. Inside each set there is a shampoo, Whipped Cream conditioner and a sweet honey hand cream and soap - sounds good enough to eat, am I right? From coloured hair to those suffering from dry and damaged locks, these three kings are the ideal hair treat! Now men can get in on the hair gifting action, thanks to this amazing set from American Crew. Treat your nearest and dearest to the Essential Grooming Kit, which includes everything they'll need for looking suitably stylish right through the festive season. As well as the Fiber styling puck, Classic 3-in-1 shampoo, conditioner and body wash, the kit also includes the Precision Shave Gel and Alternator Finishing Spray - perfect for any last minute touches before the NYE party! Packaged in a sleek leather wash bag, it's a great gifting option for the gent who likes to keep up appearances. Say goodbye to brittle, dry hair and hello to luscious locks! This nifty gift set from Schwarzkopf Professional's BC range will revive and restore any hair in need of some TLC, without weighing it down or making it feel greasy. You'll get a soothing shampoo that will help to treat tresses, as well as the Fibre Force Fortifying Mask to intensely nourish the hair for a soft and shiny finish. Presented in a sleek backpack, it's a great gifting option for any fashionista who is looking to seriously revitalise their stands. Bring joy to the world with this stellar line-up of JOICO Christmas sets, which includes K-Pak Color Therapy, Blonde Life and Color Endure. Inside each set you'll find both a full size shampoo and conditioner, which makes for a great starting point for anyone looking to switch up their haircare routine. 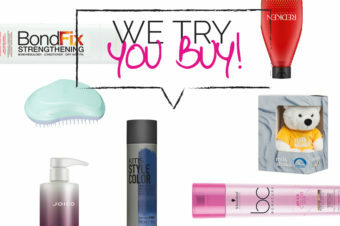 With eight ranges to choose from, there's a little something for everybody (and their particular hair type!). Thanks to Paul Mitchell, it's even easier to impress your loved ones with this fantastic selection of gift sets from the Awapuhi Wild Ginger collection. Perfect to enchant even the most moody mother-in-law, each of the sets offers some serious luxury - with the option to choose from a smoothing, repairing or repairing and styling selection to make all the Christmas hair wishes come true. As well as nourishing haircare, each of the gifts also includes a limited edition Essence of Awapuhi - an elegant, floral fragrance which is great for a fragrance refresh throughout the day or for travel. Give the gift of hair TLC with the KMS MOISTREPAIR set, which is guaranteed to replenish tired tresses. Inside each wash bag you'll find the shampoo and conditioner, and for maximum heat protection, the set also contains the Hot Flex Spray, which acts as a barrier between the hair and heat styling, while preventing frizz and further damage. For the finishing touch, the Anti Humidity Seal is great for taming flyaway hairs to keep any style looking smooth. Designed for daily cleaning for those with easier to manage hair, Neäl & Wølf's Ritual collection includes the Ritual daily cleansing shampoo and conditioner, which will seriously upgrade anybody's morning routine. With a formula which combines silk and milk proteins to boost moisture levels and reduce flyaway hair, this set makes it possible to achieve easy-to-manage and radiant locks. Complete with a matte white cosmetics pouch, it's a great gift for any gal pals who need a touch of luxury in their life. For fans of Redken, the limited edition gift sets provide the ultimate haircare experience - with a full size shampoo, conditioner and One United hair treatment spray inside every package. With names like Soft but Sassy and Vibrant Vibes Only, these sets are sure to be received with a smile this festive season, especially as the keepsake box can be used to store beauty essentials inside afterwards. 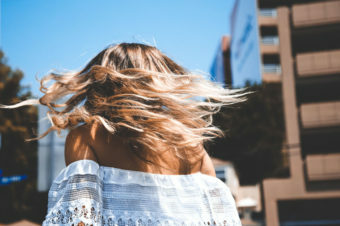 Choose from one of Redken's best-selling hair care ranges, which cover everything from extending the colour life of blonde tresses to repairing extremely damaged hair. For fabulous hair, there's no better time than the festive season to give the gift of glam with the Deluxe Pro Glam-up Kits. Great for creating party-ready barrel curls for every occasion, it's the perfect present for those who like to make a serious effort, whilst being able to create salon quality curls-on-the-go. Perfect for all ages and hair types, wigs and weaves, each kit includes 16 barrel Curlformers - with eight pieces for clock wise curls and eight pieces for anti-clockwise curls. Best of all, Curlformers will never cause heat damage, meaning happier hair which both looks and feels good! Help your loved ones take their EnergyCode on the go with the Wanderlust set from System Professional. Featuring four products for healthy hair, this handy gift set includes the Silver Shampoo to neutralise warm tones in Blonde, Grey and White hair, as well as the Repair Conditioner for strengthening tresses, plus the Hydrate Mask and the Luxe Oil to help restore the hair and leave locks looking smooth. 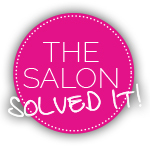 It's the perfect present for any blonde bombshells in need of some TLC! Give the gift of super sleek locks with the L'Oréal Professionnel 'Red Obsessed' Steampod 2.0; a new update of their original straighteners, which is complemented by hints of gold for a fabulously festive finish. With five temperature settings and a detangling comb attachment, the lightweight and travel-friendly design gives everyone the option to create salon-fresh looks anywhere. Using a continuous flow of high pressure steam which hydrates each strand from the inside out without causing heat damage, this handy tool features anodised ceramic plates, ensuring an ultra-smooth finish every time.